20th Century Fox is enjoying its biggest weekend at the box office since the release of “Deadpool 2” thanks to New Regency’s “Bohemian Rhapsody,” the Queen biopic that is closing in on a $49-50 million opening weekend, while its main competition, Disney’s “Nutcracker and the Four Realms,” is shaping up to be one of the biggest bombs of 2018. 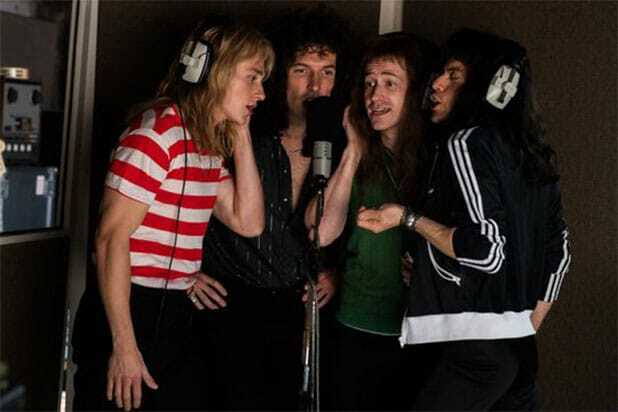 “Bohemian Rhapsody” has received lukewarm reviews from critics who praised the film’s concert scenes and Rami Malek’s performance as Freddie Mercury but criticized its script. But for Queen fans, the positives far outweighed the negatives, as early audiences gave the film an A on CinemaScore compared to 59 percent critic score on Rotten Tomatoes. The film made $18 million on Friday from 4,000 screens, which includes $3.9 million from Thursday previews. This is the second film in the past month that has been able to ride brand recognition and crowd-pleasing performances to a better-than-expected opening, joining the runaway success of “Venom,” which is approaching $200 million domestic and already has more than $500 million worldwide. With a budget of $55 million, “Bohemian Rhapsody” looks to have legs through November on the back of strong word-of-mouth from Queen fans and the awards buzz building behind Malek. “Nutcracker,” meanwhile, is the third big flop for Disney this year, and its fall is bigger than those of “A Wrinkle in Time” and “Solo.” With an estimated $20 million opening from 3,766 screens against a $130 million budget, it’s the worst start for a $100 million-plus Disney production since 2016’s “The BFG,” which opened to $18 million and only made $183 million worldwide against a $140 million budget. Audience polls were fairly positive with a B+ on CinemaScore, but combined with a 35 percent Rotten Tomatoes score, there’s nothing to show that the film’s dark fantasy and ballet elements will be a significant draw for audiences. As noted in our weekend preview, any write-down that Disney might take on “Nutcracker” will easily be made up for this holiday season with two highly-anticipated films that took precedence over “Nutcracker” and pushed it out of a late November/December slot, where its Christmas theme might have felt more appropriate. 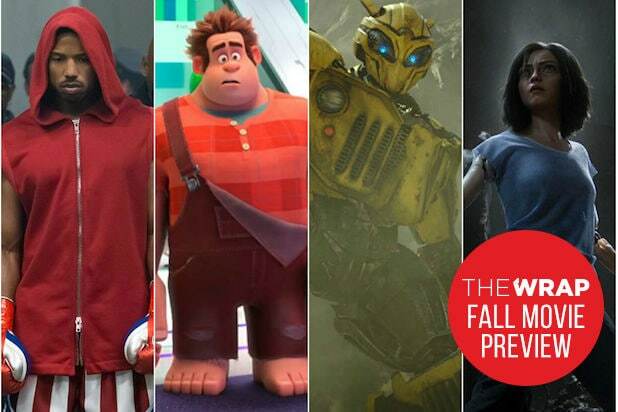 Disney’s Thanksgiving release, “Ralph Breaks the Internet,” is projected for a $65 million opening, and its Christmas release, “Mary Poppins Returns,” is expected to have four-quadrant appeal well into January. Combined, the two films give Disney a strong chance to cross $3 billion in domestic grosses for the second time in three years. In third this weekend is Paramount’s “Nobody’s Fool,” the latest from Tyler Perry that marks his first foray into R-rated comedy. Between the rating and the stiff competition, the film is posting one of the lowest openings of Perry’s career with $12-13 million from 2,468 screens, though it should stay out of the red because of is low $19 million budget. As usual, Perry’s fans are giving his film high marks with an A- on CinemaScore, while critics are giving it a 29 percent Rotten Tomatoes score. After holding the No. 2 spot all of October, Warner Bros.’ “A Star Is Born” slips to fourth with a $11 million fifth weekend that will push its domestic cume to $165 million. “Halloween” completes the top five, having passed $200 million worldwide and now reaching $150 million domestic with a $10 million third weekend. On Halloween night, the Blumhouse film earned $5.5 million, the highest gross for any film on a Halloween that falls on a weekday.